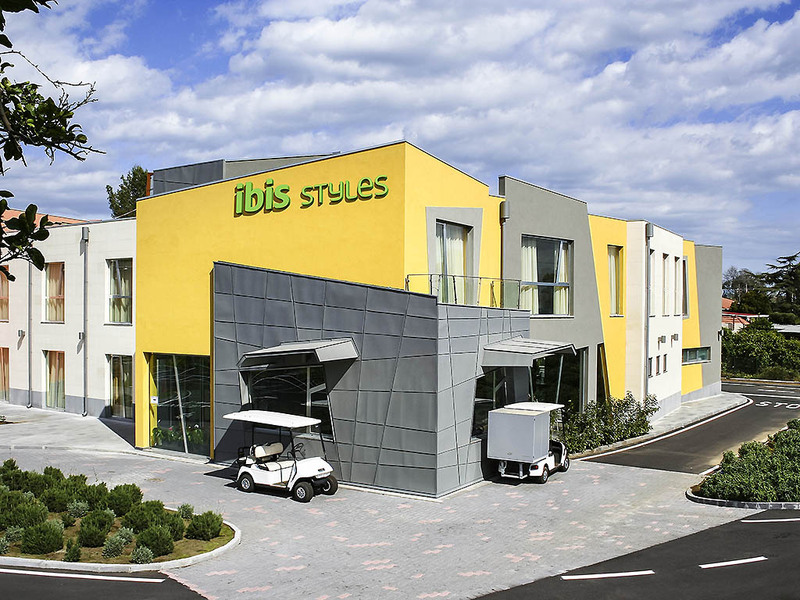 The ibis Styles Catania Acireale hotel is located 5 minutes from the A18 highway and 25 minutes from Catania Airport. The 4-star hotel boasts a functional, original design. With 66 rooms, breakfast room, free WIFI and large indoor car park, it is ideal for business and leisure trips, for couples' weekend getaways and family vacations. The hotel offers fitness equipment in the garden, a charging station for electric cars, 24-hour bar and web check-in. Pets allowed (for a supplement). Acireale, the town of a hundred churches and newlyweds, where the mythological love between Acis and Galatea began, is a destination chosen by many couples for their special day. The Ibis Styles Catania Acireale hotel offers special room rates for guests. All rooms are cozy and spacious, with attention to details. They are furnished with large comfortable beds, duvets, anti-stress pillows, LCD TVs, night lights, private bathroom with shower or bathtub, hairdryer and toiletries. Family room: 2 queen size beds. Special room: a king size or round bed. Bathtub, shower and in-room washbasin. The bar offers cold snacks, aperitifs and cocktails 24 hours a day. Pizzas are served between 7pm and 11pm. Room service is available on request for an extra charge.